Bargello Class, Retreat Project, Sale & Quilt Show! 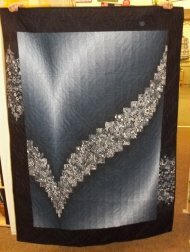 Two Fabric Bargello class will be held on Friday, October 21 OR Thursday, November 17 from 10 AM - 4 PM. Due to the space needed to put this quilt together, there will only be 3 people per class. Cost for the class is $20. We have this kit available in many color choices. This looks much harder than it really is. The ombre fabric does all of the work for you! Retreat is just around the corner. Our project will be a mystery using a "Cutie Pack." There are 2 size options. A Full is 76" X 76" and takes 1 Cutie Pack. A Queen is 90" X 90" and takes 2 Cutie Packs. A Cutie Pack is (16) fat eighths. We did our quilt in americana colors and will have a kit available. Of course, you can choose any of the Cutie Packs we already have made up in several color ways and we will help you with the other fabrics needed. We are including the fabric amounts and the cutting directions. It is not mandatory to have the cutting done before retreat, you will just get farther if you have it done. 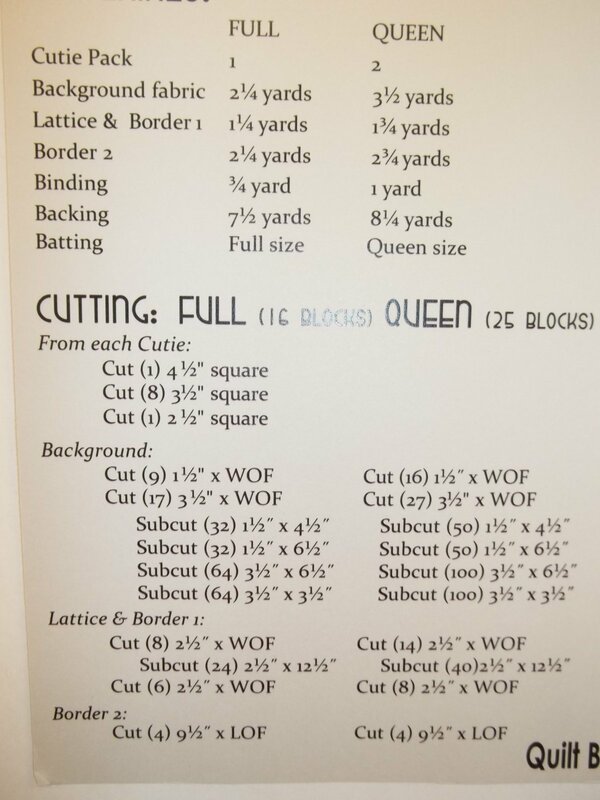 For the cutting and yardage instructions, click HERE. Come by this week for a Halloween Flash Sale. All Halloween fabric will be 30% off this Thursday, Friday and Saturday. (October 13, 14 & 15.) Plus our Barrel O' Scraps Overfloweth, so fill one of our zip lock bags with scraps for only $5!!!!! But, it has to close--ya know! The Prairie Star Quilters Guild will have their Quilt Show this Friday, October 14 (9 AM - 5 PM) and Saturday, October 15 (9 AM - 4 PM) at the DuPage County Fairgrounds, 2015 West Manchester Road, Wheaton, IL. Come and check it out! We counted 28 vendors and 1 exceptional one! You know WHO that is! Your fav quilt shop!